Friday dawned clear and cloudless with a beautiful sunrise over the hills at Mazda Raceway Laguna Seca for the first official day of the Pirelli World Challenge Grand Prix of Monterey. How can a day like this be unlucky when it starts like this! 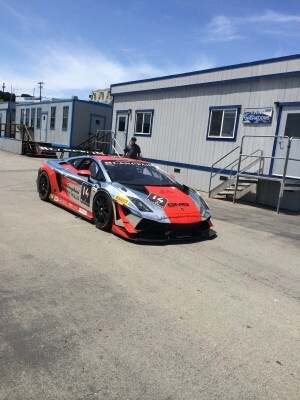 There’s a full schedule of races, with a new to California event – The Intercontinental GT Challenge. This will be an eight-hour endurance race on Sunday. 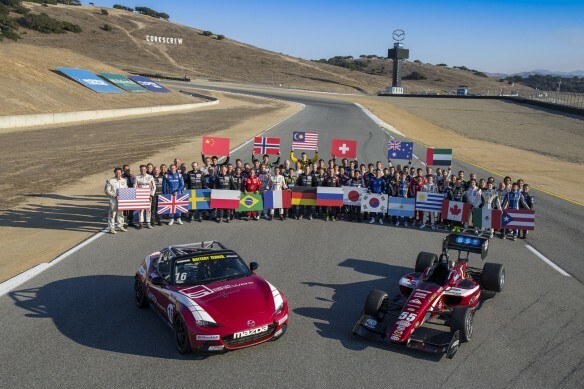 The entries for the nineteen teams come from the US and abroad – Australia and Belgium; and the drivers come from America, Australia, Canada, France, Germany, Great Britain,the Netherlands, Papua New Guinea, Portugal, and South Africa. 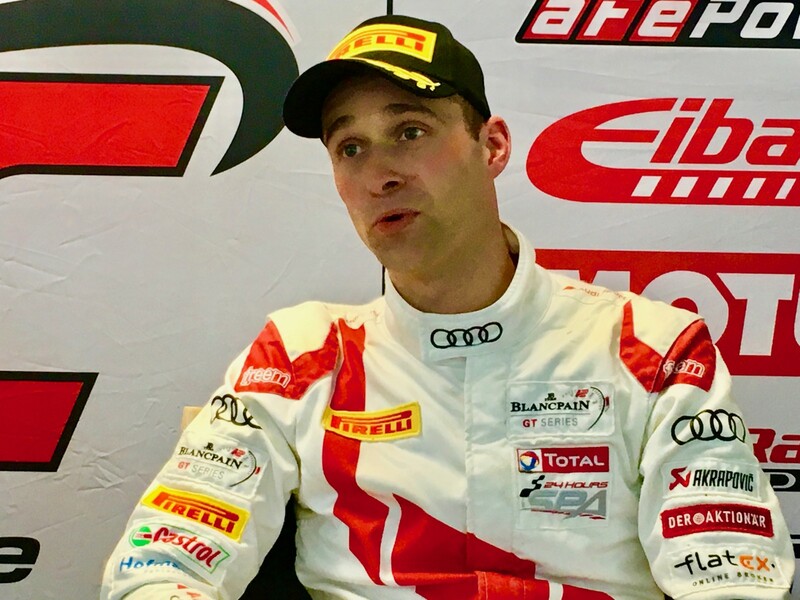 This series has a unique concept for the four races it runs: It works with local GT3 teams in the country in which it’s running, transporting drivers and engineers instead of cars and equipment. The other events are Liqui-Moly Bathhurst 12 Hours, Total 24 Hours of Spa and the Sepang 12 Hours. 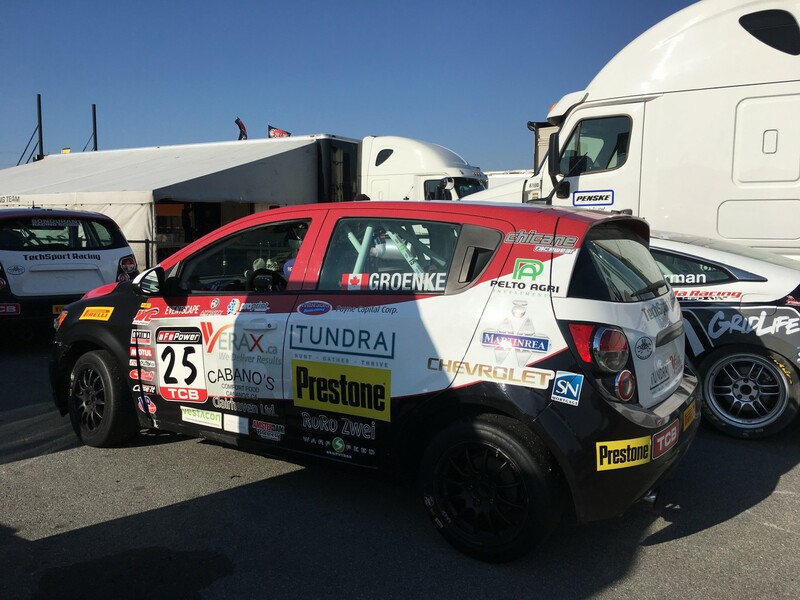 Other races on the schedule are for the Pirelli World Challenge TC class, PWC TCA/TCB Classes, Battery Tender Global MX-5 Cup and Pirelli GT# Trophy Cup USA. 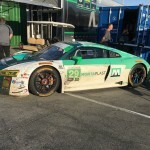 Friday’s schedule called for a 90-minute practice and a pre-qualifying session for the California 8-Hour Series, two practice sessions and a qualifying session for the PWC Touring classe, a practice and a qualifying session for the MX-5 Mazdas and a 45-minute race at days end for the GT3 Porsches. All in all, a ten hour day. 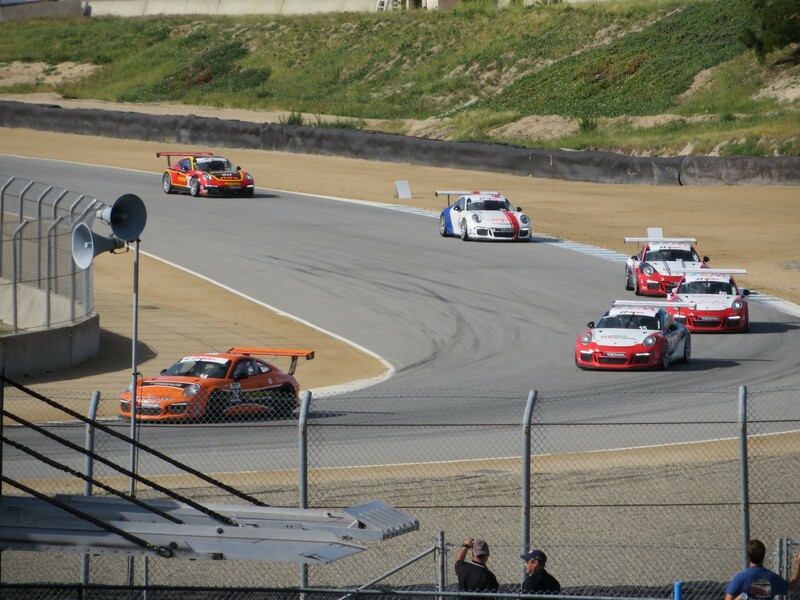 The California enduro cars had two sessions, and the No.29 Audi R8 LMS was fastest in each. The results don’t list which of the three drivers turned the fastest lap, and the monitor isn’t always up-to-date. Christopher Mies/Germany was listed last. 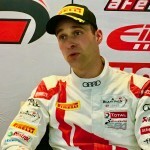 The other two drivers for the car are Connor De Philippi/USA, and Christophe Haase/Germany. Second in the afternoon Pre-Qualifying session was Patrick Long/USA in No.58 Porsche 911 GT3R, with co-drivers Jorg Bergmeister/Germany and Romain Dumas of France. 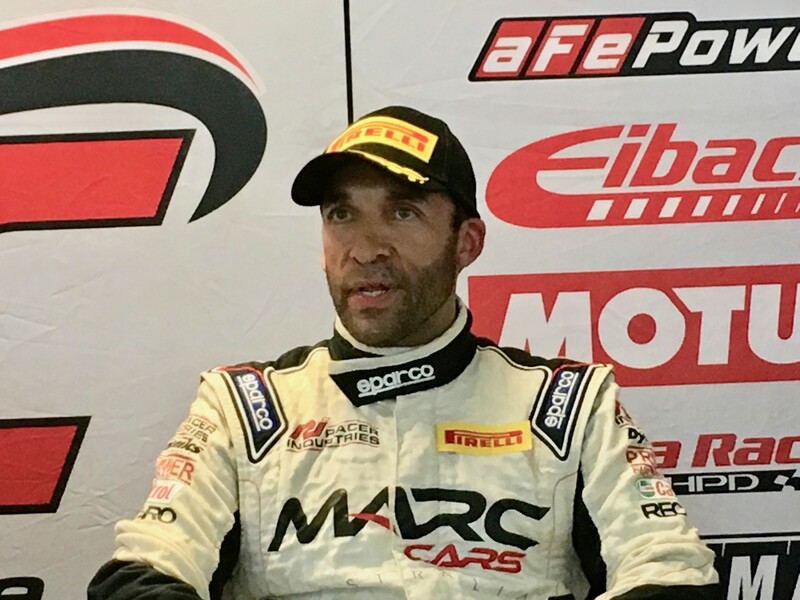 Third fastest in the afternoon was Alvero Parente/Portugal, with Bryan Sellers/USA and Ben Barnicott of Great Britain in his first ever time at MRLS. Left to right: No.29 Audi R8 LMS; No.59 Porsche 911 GT3 R; and No.9 McLaren 650S GT3. The PWC TC classes have a championship is on the line this weekend. 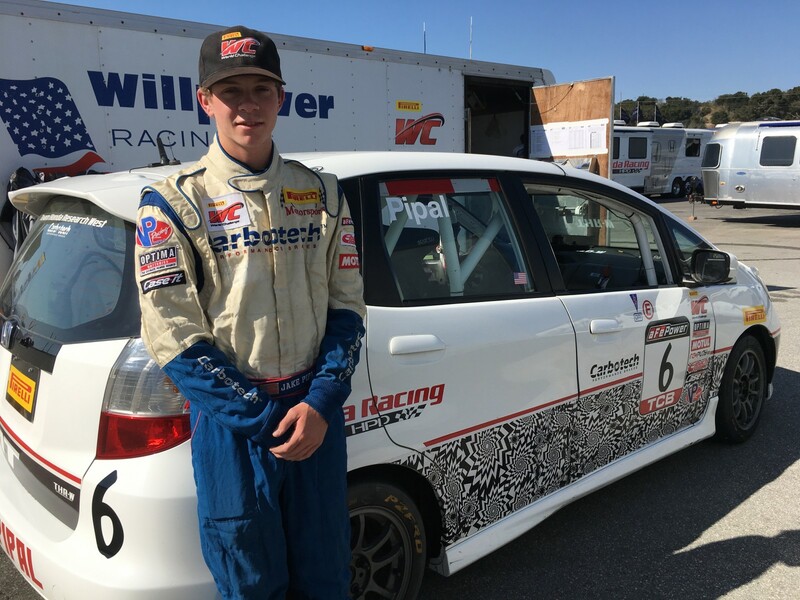 The point spread is especially close in the TCB class – three points before qualifying between three drivers: Jake Pipal/No.6 Honda, PJ Groenke/No.25 Sonic, and Canaan O’Connell/No.24 Sonic. Left to right: Canaan O’Connell; PJ Groenke No.25 Sonic; and Jake Pipal. The TC class races are Saturday morning and are split, with the TC class by itself, and the TCA and TCB running together. The fastest race laps of those races will set the grid for the afternoon races. Their Awards Banquet is that evening. 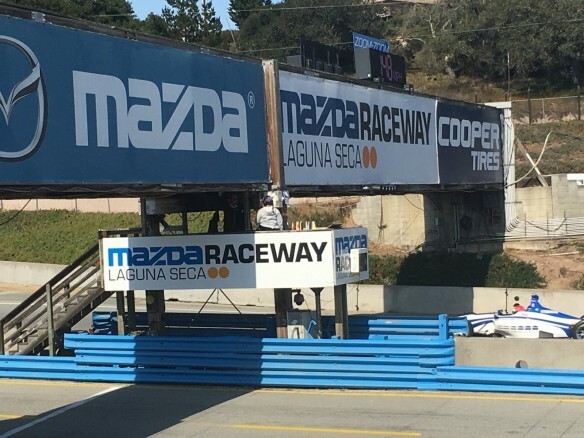 Another championship which will be hotly contested will be the MX-5 Mazdas, who are racing for a lucrative $120,000 in prize money including $75,000 to the Saturday afternoon race winner. 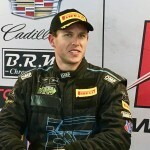 The provisional pole went to Nikko Reger/No.01 of Texas. Second and third were Robby Foley/No.63 of NJ and Patrick Gallagher/No.29 of Ohio. There are 19 cars in this group, including 12 Rookies. 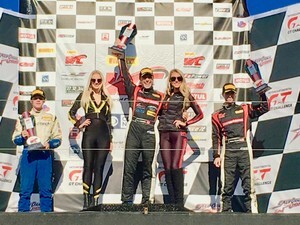 Russell Ward/No.35 won the 45-minute race for the Pirelli GT3 Trophy Cup USA, from the pole position. Second and third finished in their qualifying position also: Loren Beggs/No.08 and Alex Kirby/No.01. All three are in the Diamond class. The weather was sunny all day, warming up nicely in the afternoon, with the breezes ranging back and forth between gentle to stronger. Thursday was an all-day test session. Two drivers had bad crashes, but they are alright. The cars are not and at least one is undergoing a 24-hour restoration, with more car parts on the way. As the day went on, observed one series Chief Steward, the drivers pushed the limits further and further. The SFR SCCA Course Marshals and Emergency Crews were kept busy picking up and cleaning up while the flaggers got plenty of practice with the variety of flags. Saturday’s schedule calls for two qualifying sessions and seven races. Throw in a PWC TC Autograph session and noontime Race & Rods Parade Laps and you have another rich and full ten-hour day. 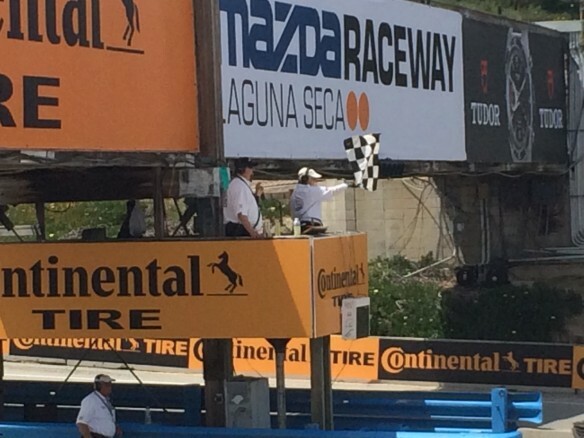 It’s race day Sunday at Mazda Raceway Laguna Seca for the Continental Tire Monterey Grand Prix. The skies are blue and clouds are few. It’s time for warm-ups and races. 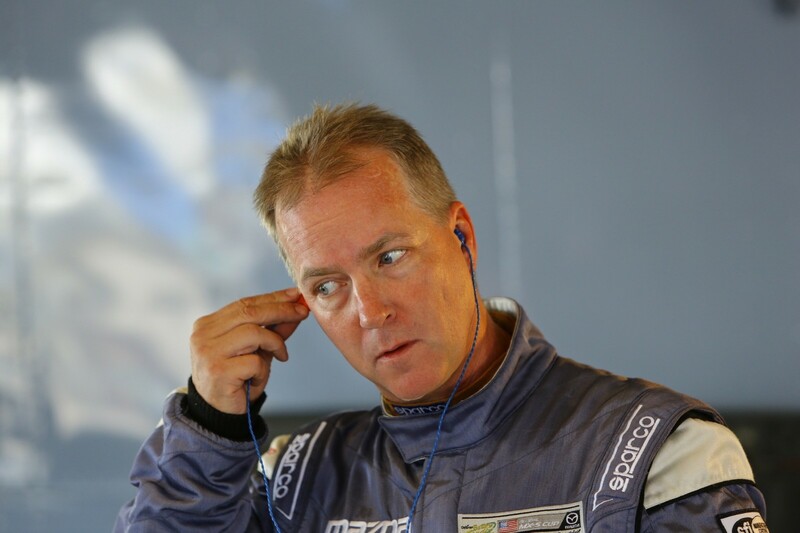 The TUDOR United SportsCar Championship had its twenty minute warm-up interrupted by a Red Flag for MARTIN FUENTES/No.7 Starworks Motorsport ORECA FLM09 Chevrolet spun and stalled at Turn 11 bringing out the Red Flag for nine minutes. Fastest in each class were: PC-OSWALDO NEGRI JR/No.60 Michael Shank Racing with Curb-Agajanian Riley DP Ford; PC-SEAN RAYHALL/No.25 8Star Motorsports ORECA FLM09 Chevrolet; GTLM-ANTONIO GARCIA/No.3 Corvette Racing Chevrolet Corvette C7 R Chevrolet; and GTD-DION von MOLKE/No.35 Flying Lizard Motorsports Audi R8 LMS Audi. The times were slower than Saturday’s speeds. 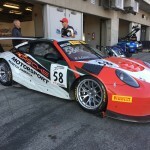 Polesitter MICHAEL LEWIS/No.98 Cmp.Mot/Curb-Agajanian won the first Sunday Porsche GT3 Cup race, flag to flag as leader. He was pretty excited afterwards, winning his first-ever California road race. 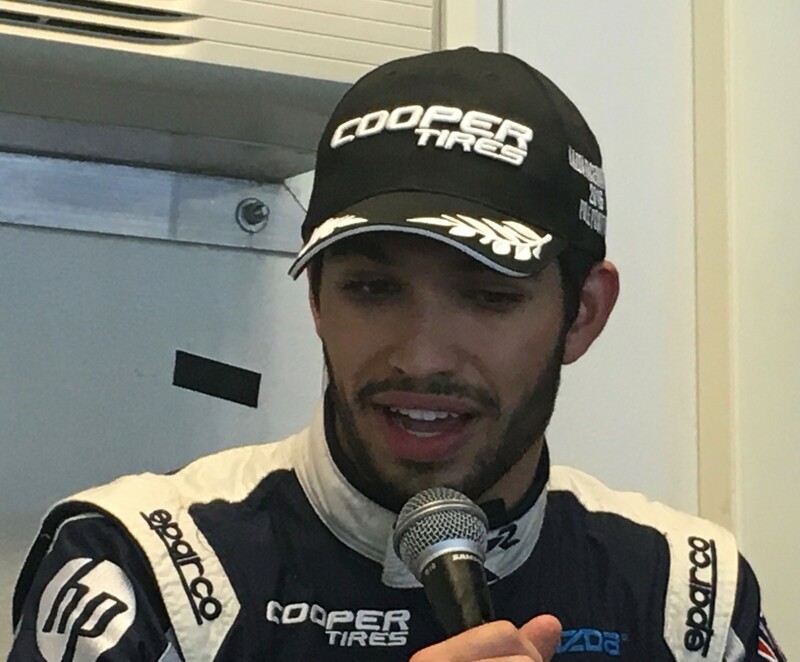 He really likes “this legendary track.” Lewis got his start at 12 in quarter midgets and went through all those kinds of open wheel cars – except winged sprints, before going to Europe for three years racing formula cars. That transition wasn’t that difficult, he said. But, it was a ‘strange’ transition from European formula cars to sports cars. And he’s loving it. 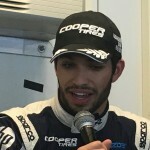 The Motorsport Safety Foundation was created by HENRIQUE CISNEROS, who is wearing three hats (or helmet) this weekend. 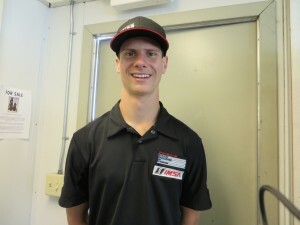 He’s co-owner of the No.30 MOMO/NGT Motorsport Porsche 911 GT America Porsche, co-driver in that TUDOR Championship GTD car, and he now has the foundation. 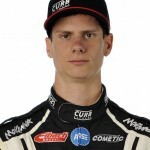 Cisneros co-drove last year with SEAN EDWARDS, and Laguna Seca was the last race that Sean won before he was tragically killed as a passenger with driving student in a motorsports accident at Queensland Raceway in Australia. It was at that point Cisneros founded the Motorsport Safety Foundation, dedicated to improving safety standards in motorsport. MSF has several goals: to promote safety awareness, fund projects and provide solutions as well as having a forum for drivers and participants, such as volunteer race officials and marshals, to voice concerns. 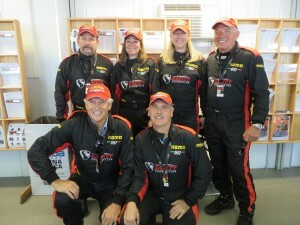 At this weekend’s TUDOR Championship weekend, six MSF Volunteers will be doing Pit Notes. These ambassadors, as they think of themselves, are all volunteers, traveling to all the sports car races. They were mostly recruited from volunteer ranks of corner workers and other officials in Sports Car Club of America. At the beginning of the season Cisneros asked what he could do to help them be safe and do their job. As fire suits are no longer required in the pits at sports car races, the ambassadors asked for protective clothing. MSF, with help from MOMO, provided brand new triple-layer, 2014 spec fire suits which are being worn for the first time this weekend. MICHAEL LEWIS/No.98 Cmp.Mot./Curb-Agajanian took the pole for the Porsche GT3 Cup Challenge USA by Yokohaa, lapping at 1:27.786/91.778mph. 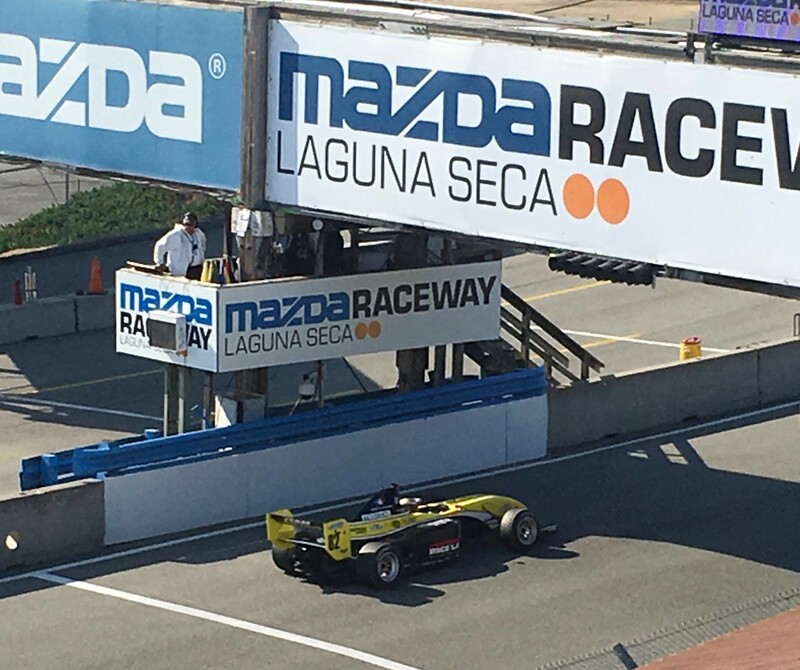 Second through fifth were ANGEL ANDRES BENITEZ/No.05 Formula Motorsport, SLOAN URY/No.20 JDX Racing, JESSE LAZARE/No.31 Door Doctor and COLIN THOMPSON/No.14 Kelly-Moss Motorsports. They are all in the Platinum category. In the Gold category, PAUL BARNHART Jr/No.17 Kelly-Moss Motorsports was tops, in eighteenth place. Second through fifth in Gold were MICHAEL LEVITAS/No.35TPC Racing, KRISTIN TRAEGER/No.52 Wright Motorsports, and FRED POORDAD/No.5 Competition Motorsports. 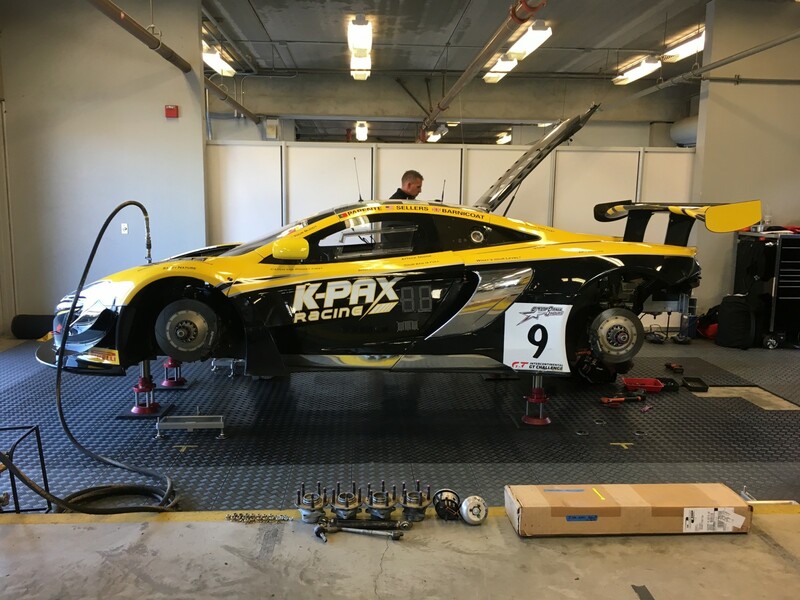 The first GT3 Cup this weekend is Sunday morning, and the second is at the end of the day Sunday. 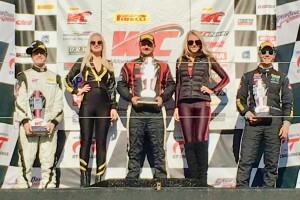 Pole Sitter Rookie KENTON KOCH/No.12 ALARA Racing led from start to finish in the SCCA Pro Mazda MX-5 Cup race. Runnerup was JOHN DEAN/No.16 Sick Sideways, followed by SEBASTIAN LANDY/No.41 AMG. 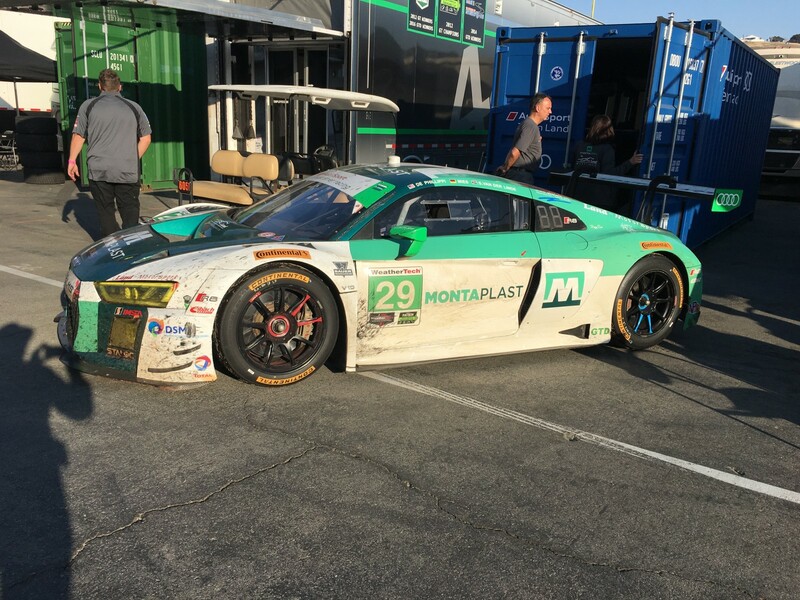 CJ Wilson Racing teammates, Rookie JOEY BICKERS/No.29 and PATRICK GALLAGHER/No.28 were fourth and fifth. 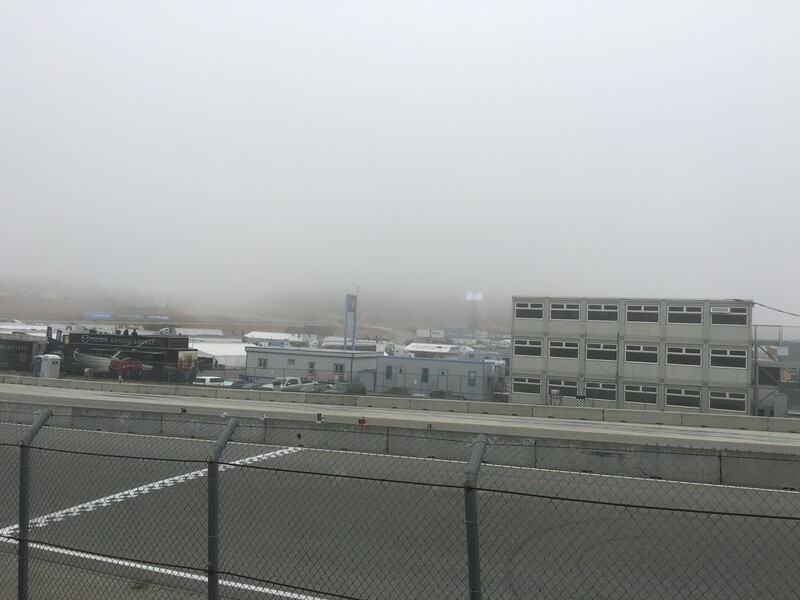 Although the infamous Laguna Seca fog started the race 15 minutes late, the race was only shortened by three minutes and ran 21 laps. Twenty-one cars were on the lead lap. Three cars failed to finish. 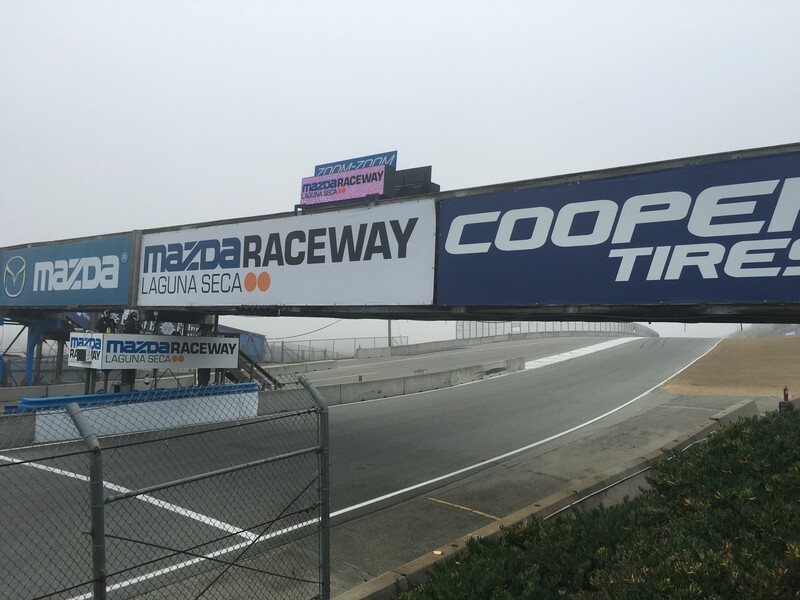 What a difference makes at Mazda Raceway Laguna Raceway in Monterey CA. 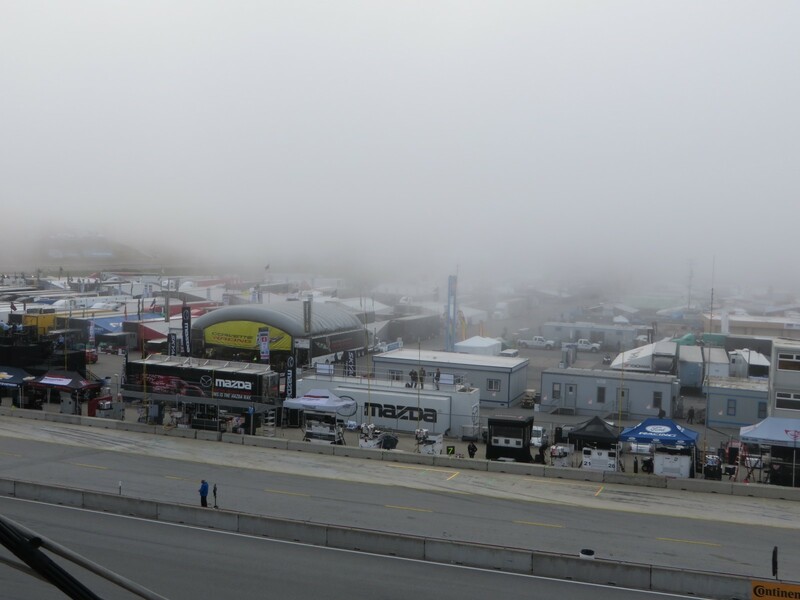 The fog has rolled in big time, temperature has dropped to 52 degrees F, the humidity is pegged at 89 percent. 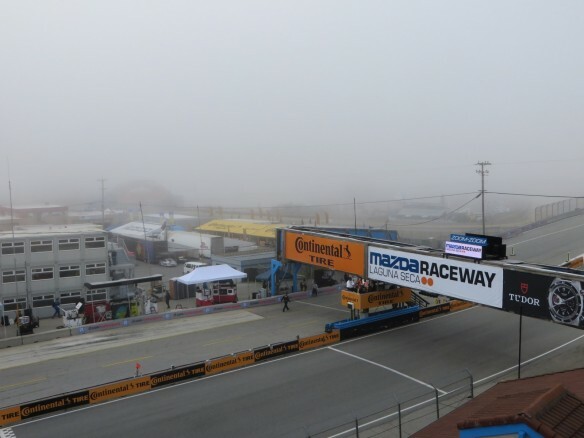 This puts a crimp in the already packed into the three-day, five series, and seven-race schedule for the Continental Tire Monterey Grand Prix Powered by Mazda weekend. 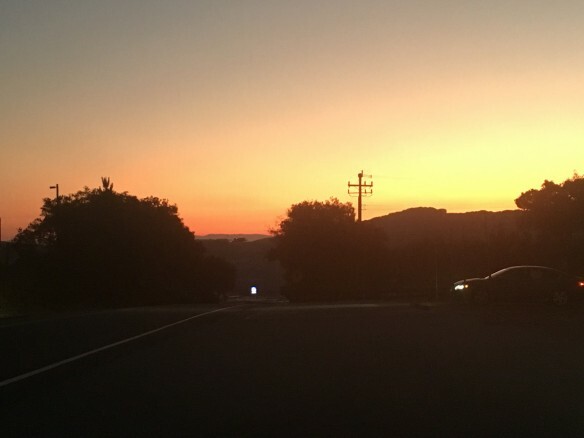 Laguna, which has its own microclimate between the Monterey Bay and inland Salinas area, is known for its rolling fog. 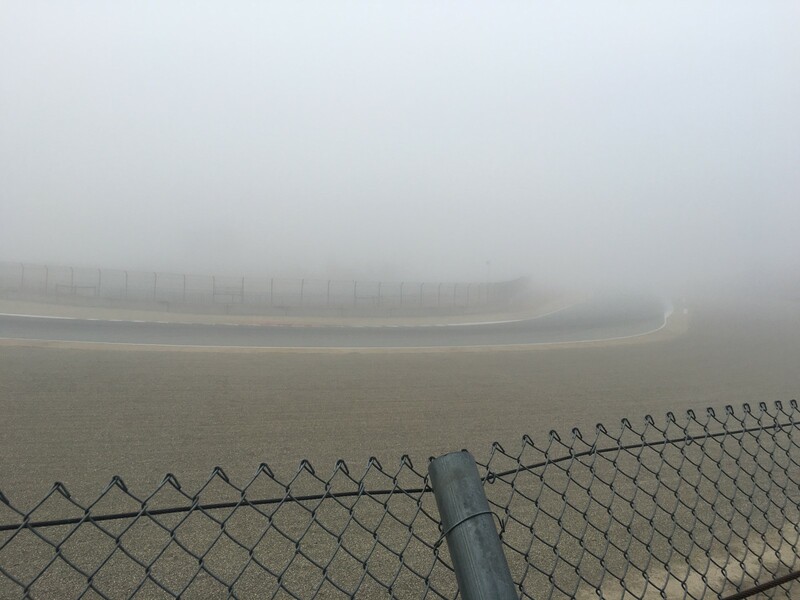 The sun tried to peek through and beat a hasty retreat, leaving the fog to blanket and un-blanket the corners one by one on the 2.238, twelve turn elevated road circuit. 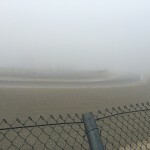 Once there was visibility from one turn to the next, the first race of the day took off. The SCCA Pro Racing Mazda MX-5 Cup race started fifteen minutes late, and the clock started on the second pace lap for the originally-planned 45-minute race. Due to time constraints, the timed race will be shortened to end at its usual time. Saturday’s schedule calls for the Mazda race, Porsche GT3 Cup qualifying, the first of two races for the Lamborghini Blancpain Super Trofeo Series, two one-hour long practices with the combined classes of the TUDOR United SportsCar Championship, a 150-minute race for the Continental Tire SportsCar Challenge, and four single-class qualifying sessions for the TUDOR Championship cars. The day’s on-course activities are slated to end at 6:15pm PT. 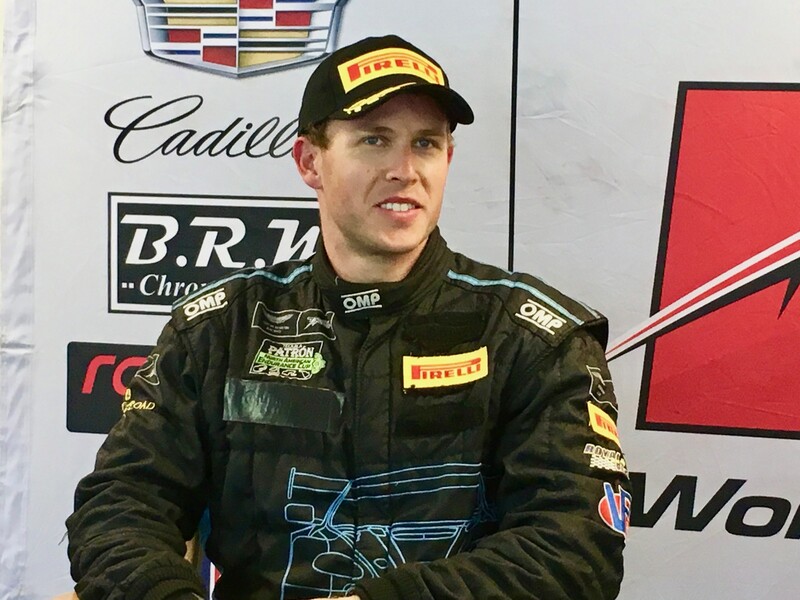 TRENT HINDMAN of New Jersey is the overall pole sitter for Saturday’s race in the Continental Tire SportsCar Challenge Race. 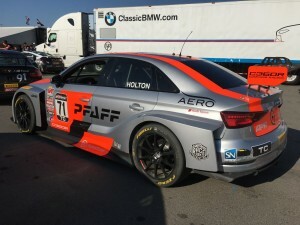 He set a new qualifying track record with a lap of 1:34.948/83.970mph in his No.46 Fall-Line Motorsports BMW M3, which is in the Grands Sports Class. 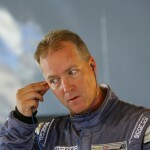 His co-driver is JOHN EDWARDS of Ohio. 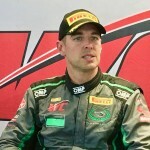 He is hoping the third time will be the charm for him this season, after two runner-up positions. Historically, he said, Laguna has been a good track for the team. The teammates currently lead the GS points standings, and BMW leads the GS Manufacturer standings. 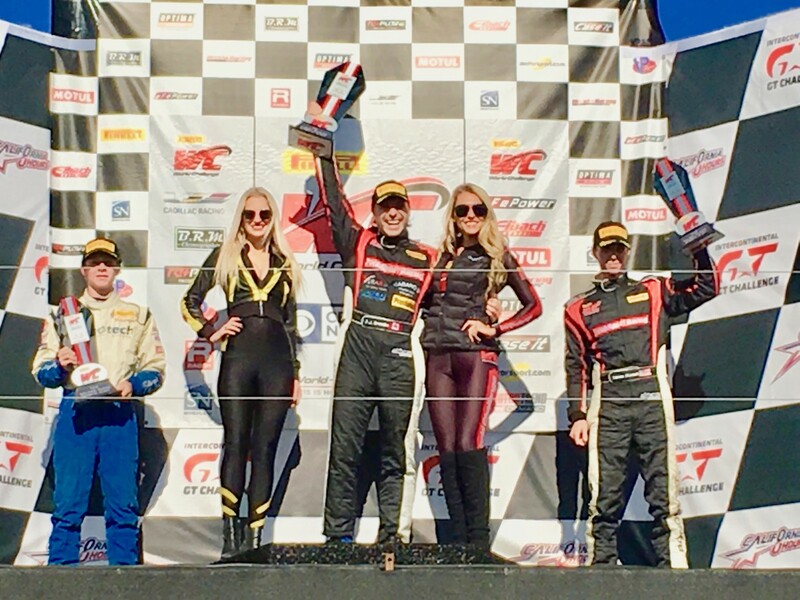 ELLIOTT SKEER of San Diego CA put the No.3 CJ Wilson Racing Mazda MX-5 on the Super Touring Class pole for Saturday’s race, with a lap of . 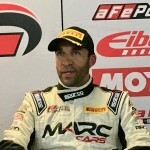 As qualifying driver, he will start the race, in – position overall. 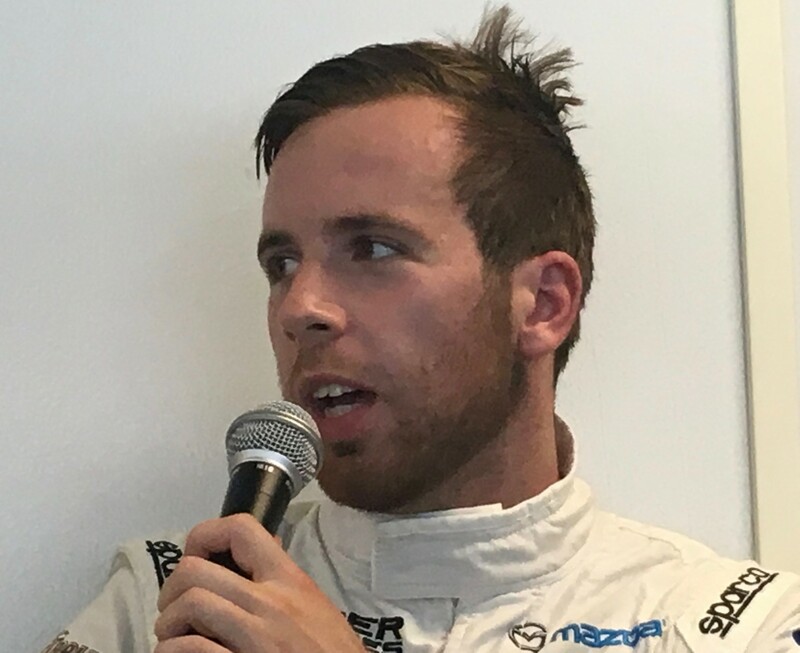 Skeer used to race the MX-5 Cup Series, has been to Laguna Seca before, and really loves the track. 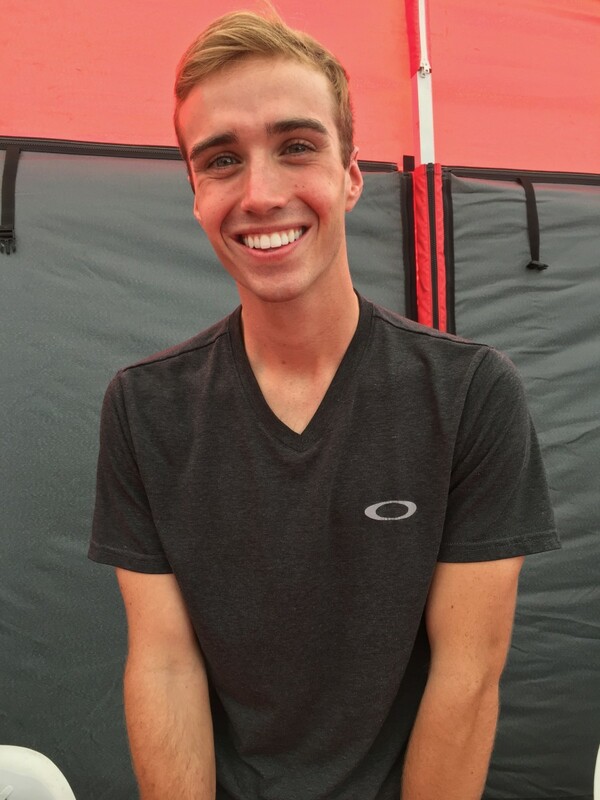 He and teammate TYLER McQUARRIE of Danville CA in Northern California, were fastest in the early morning session, and fourth in class later as the track heated up. 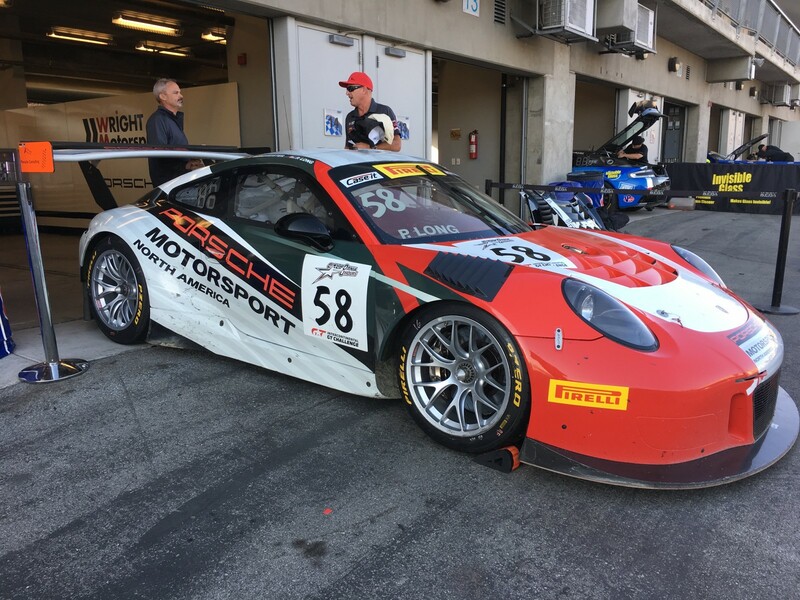 MICHAEL LEWIS/No.98 Cmp Mot/Curb-Agajanian has the pole position for the first of two races in the Porsche GT3 Cup Challenge USA by Yokohama Series. Young Lewis turned a 1:29.110/90.414mph. There are 33 entries, and 32 qualified. 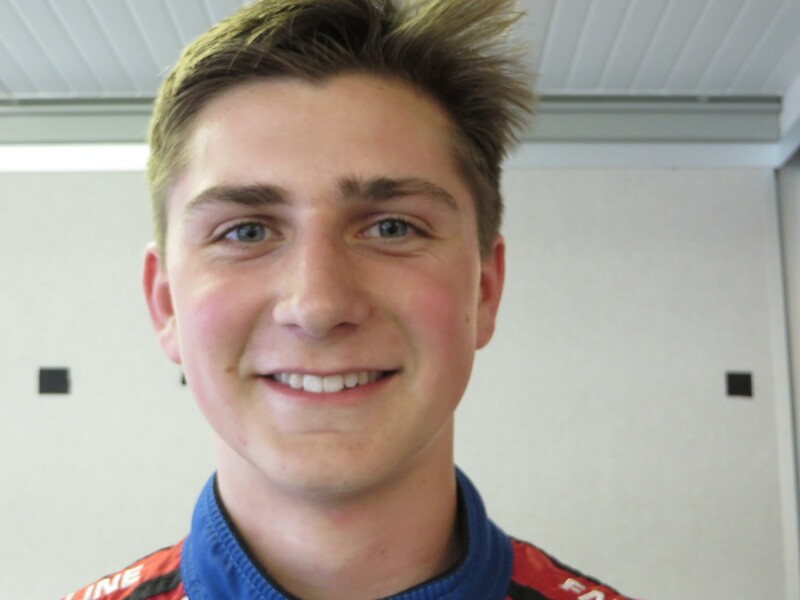 Lewis, son of STEVE LEWIS who sold the PRI Show to SEMA has been racing Formula 3 in Europe for the past three years. 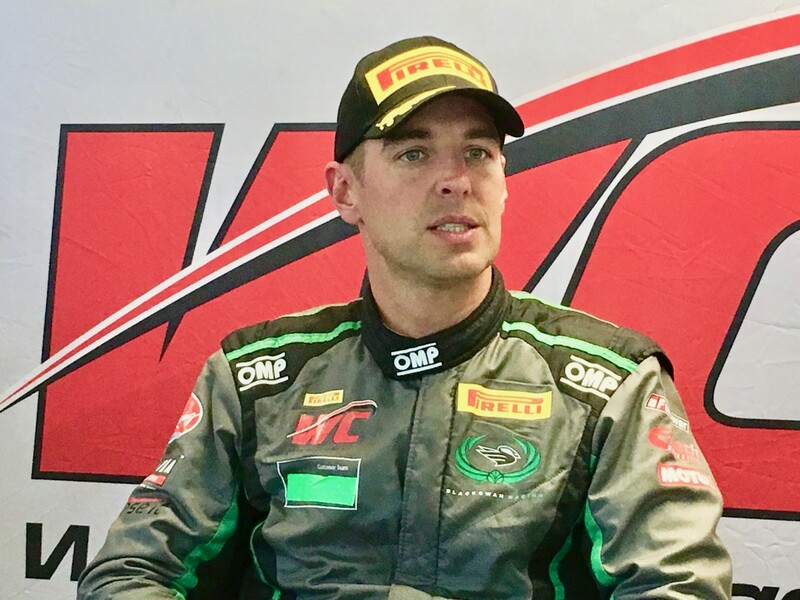 ANDREW PALMER/No.14 GMG Racing has the pole position for the Lamborghini Blancpain Super Trofeo race for the first race Saturday morning. His record-breaking lap was 1:27.831/91.731mph. Palmer had been fastest in the second Friday practice and fourth in the first. 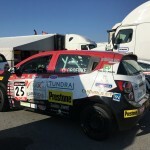 There are 14 cars in the race, and Palmer is in the Pro Class, one of six. The rest are in the Amateur class. 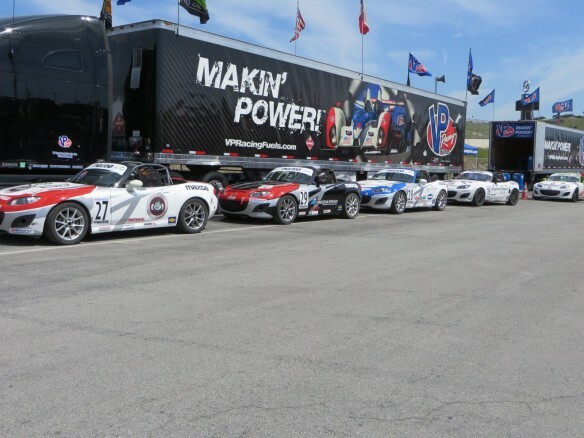 The cars in the Mazda MX-5 Cup Presented by BFGoodrich series had a busy day Friday. They ran first, last and in between. After two practice sessions, they qualified and raced at the end of the day. 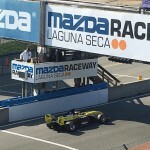 Pole position went to KENTON KOCH/No.12 ALARA Racing, with a lap of 1:42.096/79.814. Fastest in the Skip Barber class was DRAKE KEMPER/No.99 Royal Rugby, with a lap of 1:47.572/77.789. 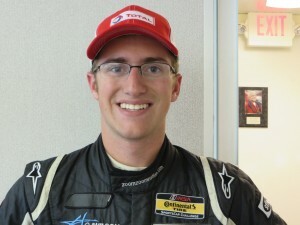 He qualified nineteenth overall of the 28 cars. 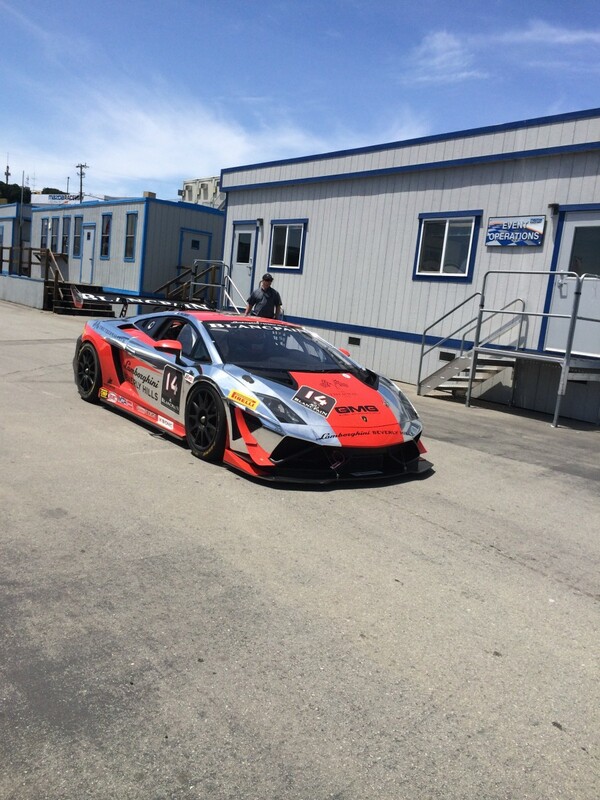 ARA MALKHASSIAN/No.11 ALARA Racing was fastest in P1 and overall. 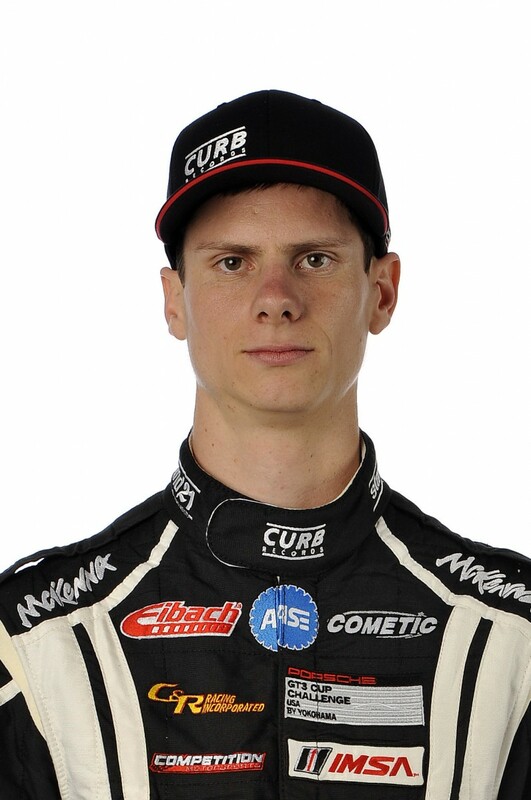 The third ALARA Racing driver, CHRISTIAN SZYMCZAK/No.34 withdrew. Generally the cars were faster in the 8am session than the one held at 11:30am, as the track and air warmed up. ROB FOLEY/No.93 Skip Barber Mazda MX-5 was also fastest in P1 and overall. In P2, SEBASTIA LANDY/No.41 Excitations.com/AMG was fastest, with ZACH LEE/No.60 fastest in the Skip Barber group. That group could be called MX-5-Lite. The cars have older, bigger tires, less horsepower and other differences. Among the group is a special anniversary car – No.68 Mazda Motorsports/BFGoodrich Skip Barber Mazda. JOHN MORTON was one of three BFG drivers who drove the No.68 Jim Busby Racing Lola T-616 Mazda with BFGoodrich tires in the C-2 class at LeMans, and won. The other two drivers were JOHN O’STEEN and YOSHAMI KATAYAMA. Morton is driving a MX-5 garbed in the same iconic livery – car, helmet and driver’s suit. Two of the LeMans Lola’s, owned by JOHN DAVIS, are on display in the paddock. JOHN DEAN/No.16 Sick Sideways Mazda won the race, which was marred by a six-lap full course yellow for an accident on Lap 2 in Turn 4A betweens No.27 CHARLES PAQUIN MX-5 Cup and CHRIS BEAUFAIT/No.69 Skip Barber Mazda. The drivers are OK – they walked from the tow truck back to the paddock. BEN ALBANO/No.61 Skip Barber won that class, finishing fourteenth overall. On another note, the Reverend RICHARD ANDERSON, head of Motorsports Ministries which tends to the sports car races, passed away last week. Sunday at the track there is a special Sunday Chapel Service dedicated to him, and his Memorial Service Saturday in Santa Rosa will be streamed live for viewing at Laguna Seca, 11am PT in the Skip Barber top floor classroom in the paddock. It was another great weather day at Mazda Raceway Laguna Seca for the first of three days of sports car racing at the Continental Tire Monterey Grand Prix powered by Mazda. The moderate upper seventies temperatures with light breeze was more tolerable than Thursday’s record-breaking 90F. The featured series, TUDOR United SportsCar Championship, will not be on track Friday, but will have much of Saturday’s track time. 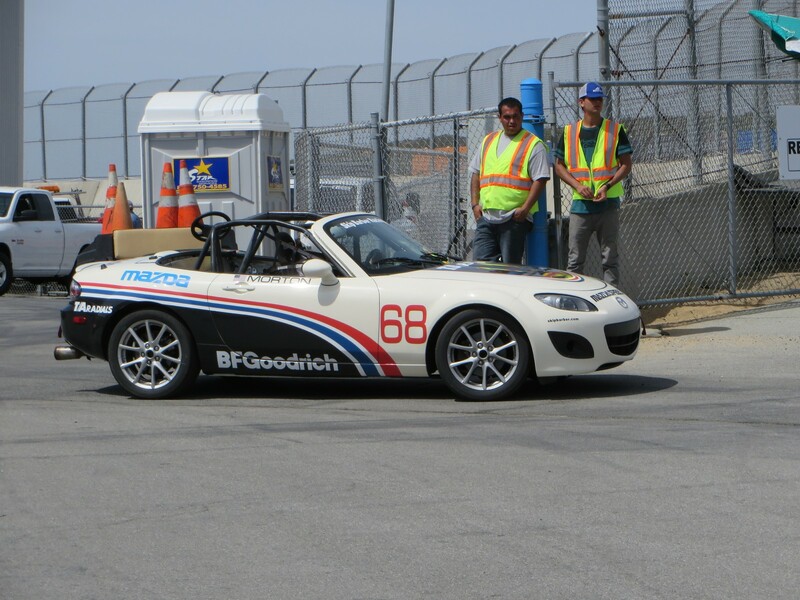 Friday has all the support series sanctioned byIMSA, plus the SCCA Pro Racing Mazda MX-5 Cup Presented by BFGoodrich. 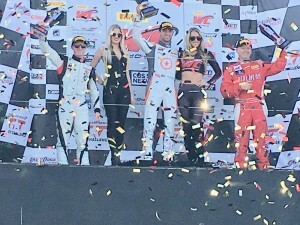 TRENT HINDMAN and JOHN EDWARDS/No.46 Fall-Line Motorsports BMW M3 were the fastest drivers overall in the Continental Tire Championship SportsCar Challenge, and also quickest in the Grand Sports class. Their time was 1:36.181/83.767mph. 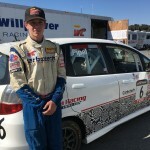 In the Super Touring class, TYLER McQUARRIE and MARC MILLER/No.3 CJ Wilson Racing Mazda MX-5 were tops and twenty-sixth overall. Their time was 1:40.023/80.549mph. ARI MALKHASSIAN/No.11 ALARA Racing was the fastest MX-5 Car in the first practice at 1:41.730/79.197 mph, and in the subcategory for the Skip Barber MX-5 cars, ROBBY FOLEY/No.93 was the quickest at 1:44.428/77.151 mph. 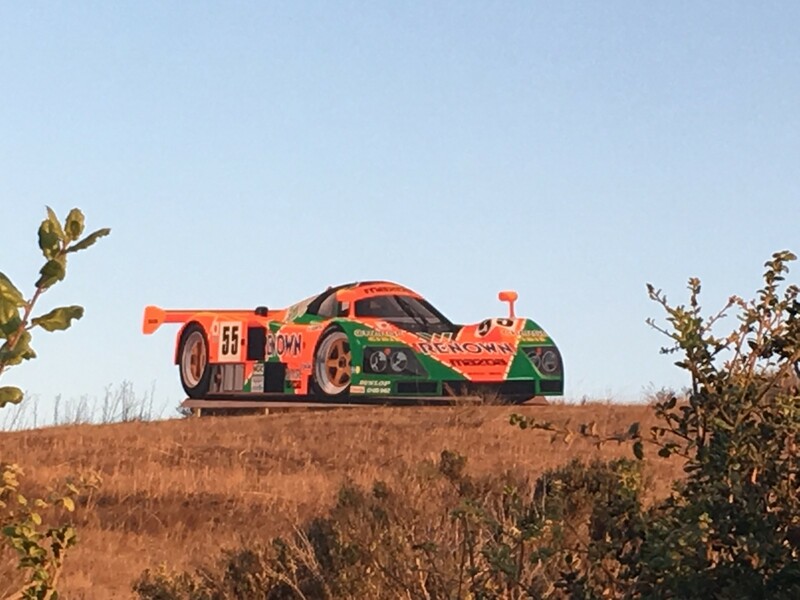 At one point one of the Mazdas clocked 100 mph on the radar gun at the top of the crest just past Start-Finish. This group has its first race at 5:45pm Friday and Race Two is 8am Saturday. Both races are 45-minutes long. Twenty-eight of the twenty-nine entries were on course. JOHN FARANO/No.63 Jota Corse was the fastest overall and fastest in the Pro Class of the Lamborghini Blancpain Super Trofeo cars for Practice One. His time was 1:29.961/90.566 mph. The fastest Amateur and second fastest overall was TIM BELL/No.81 Mitchum Motorsports. 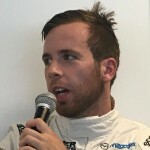 There are fifteen cars in the group, with five Pro drivers, and 11 Amateur drivers. One car has two Amateur drivers. All were on track. After lunch there will be more practice, qualifying and a race. FOX Sports is airing the TUDOR Championship races live on Sunday. In the booth will be BOB VARSHA, CALVIN FISH and DORSEY SCHROEDER. Pit Lane duties will be handled by JAMIE HOWE and BRIAN TILL. 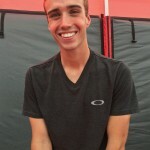 The Pre-Race Show will be hosted by JUSTIN BELL.